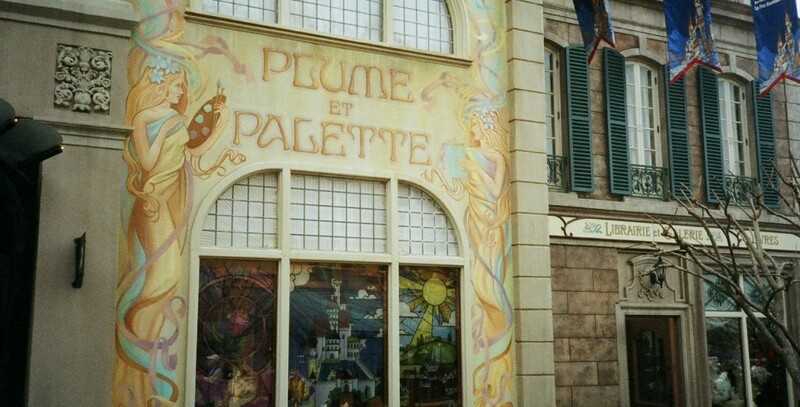 Plume et Palette Shop in France in World Showcase at Epcot; opened on October 1, 1982. Art, Limoges porcelain, and crystal are featured in this shop designed with beautiful wood paneling and cabinets, and wrought-iron balustrades. Fine paintings by French artists were shown on the mezzanine.